Happy 2017! Hope everybody had a wonderful Christmas and New Year's. Around here we were battling all kinds of sicknesses. Seems like this fall and winter have been extra bad for catching every manner of illness and just feeling poorly in general! Now that's a phrase you don't hear a whole lot anymore....feeling poorly. It's definitely one I've heard my mamaw and papaw say before. What I wouldn't give to go back in time and capture all the old timey phrases and words they used. I remember many, but I'm sure my memory has lost just as many as I recall. One thing I'm so glad I did was interview both my mamaw and papaw not long before they passed away. I recorded their responses to my questions, and created an oral history heirloom to pass on to the next generations. Since they are now gone, those stories I documented from them have become something I truly treasure. I highly encourage you to interview the older members of your own family if you have the opportunity to do so. It's time well spent, and we have so much we can learn from that older generation of mountain folk. 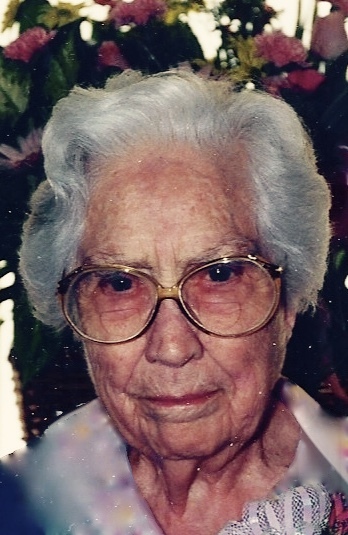 When I interviewed my Eastern Kentucky born and raised mamaw, she spoke quite a bit about the different ways they handled gardening, chores around the house, etc. when she was growing up. Hearing her talk was like opening up a window into old timey Appalachia. "Oh, we used to clean chitlins and make soap with...put lye in and we made our soap then. I guess they's a whole bunch out there in the smokehouse now...."
My grandparents' smokehouse where Mamaw stored her old lye soap. "But I didn't make it out of that (chitlins). It was just fat scraps. That lye will eat it up. Just get it down so thick, and you'd take water and put that fat in there and put the lye in and cook it down. And when it got cold, you could cut it out, and it didn't smell bad." When asked if they washed the clothes with lye soap she said, "Yeah. Well, now, we didn't have washing machines then. We didn't have to have it. 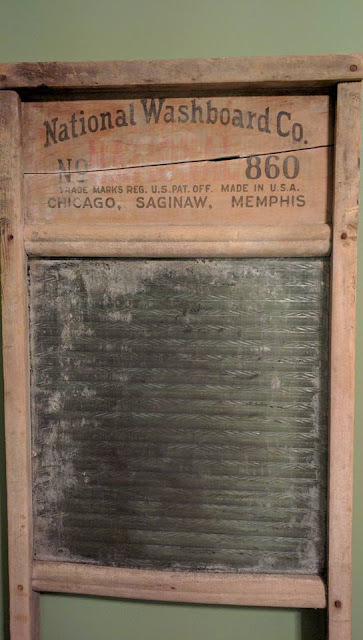 We washed on a board." "We'd have our soap and we'd rub it on the clothes. We'd get 'em wet and rub it, and get 'em up on the board and rub soap on 'em. And look for the dirty places and soap them more. And we'd boil our white clothes. Yeah, people had some hard times back then, but they had some good times. I mean they had time for one another and wasn't rushed like they are now." 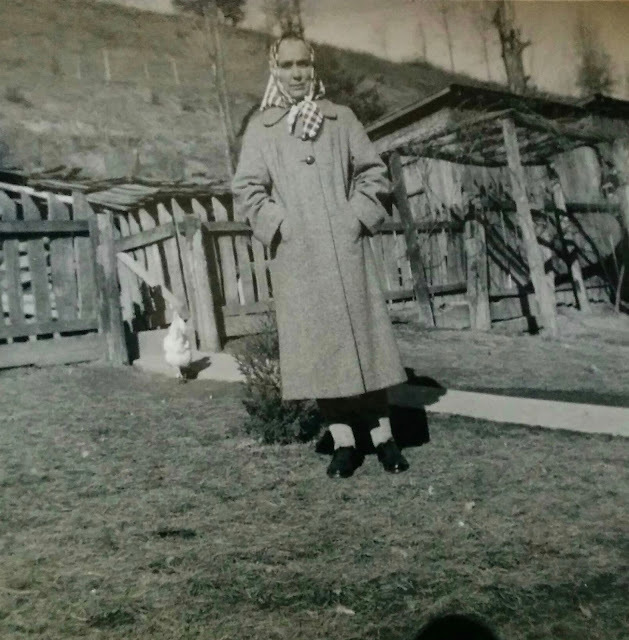 My mamaw...back when people "had time for one another." Don't you just love that?! 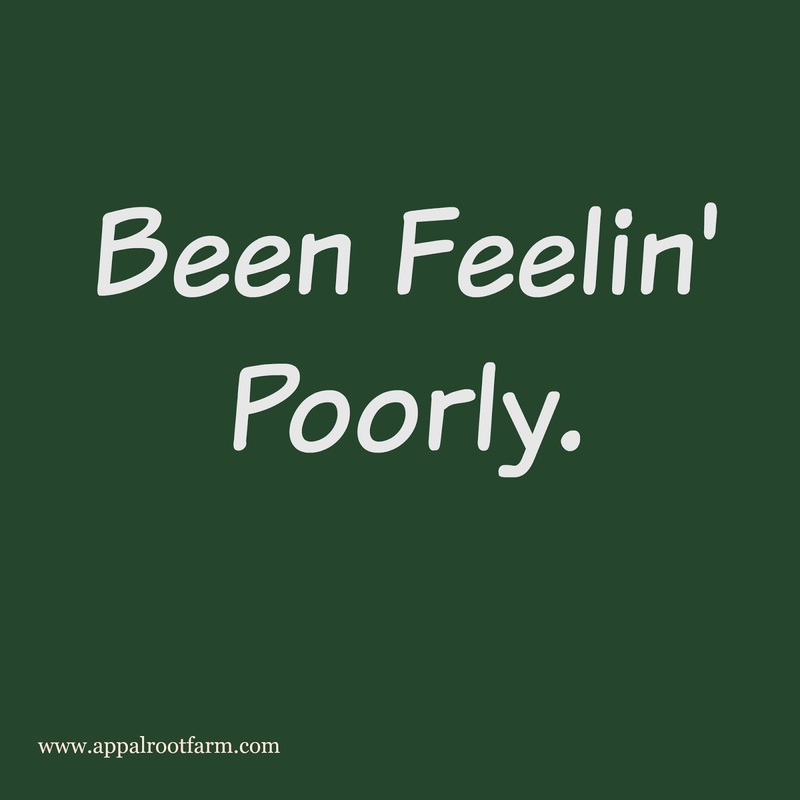 Time and time again, I've heard so many older Appalachians speak of how despite their hardships growing up, there was so much goodness and happiness in their lives that seems to elude most people today. We truly have a lot to learn from that older generation! 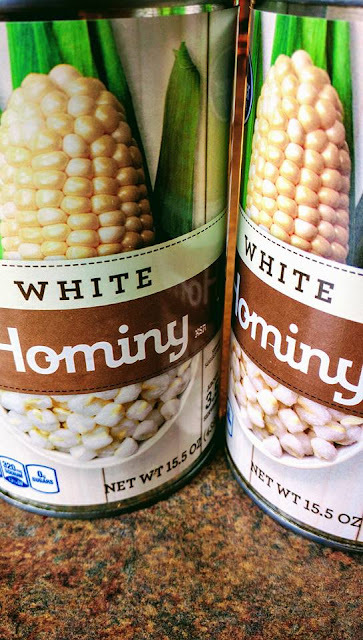 "Yeah, we used to make big 'kittles' of hominy. Well, we'd have what they call lye, we'd buy canned, and shell our corn and cook it with lye water to get the husk off of it. Then they'd have to cook it and wash it so many times to get that lye out of it. Course they wasn't no food to it time we got through with it that way. But we'd make big 'kittles' of it. ...we liked it. You could salt it. And we'd put it in a skillet of grease and it was good that way. And, well, we'd start eatin' on it without puttin' it in anything when they'd get the lye out of it." 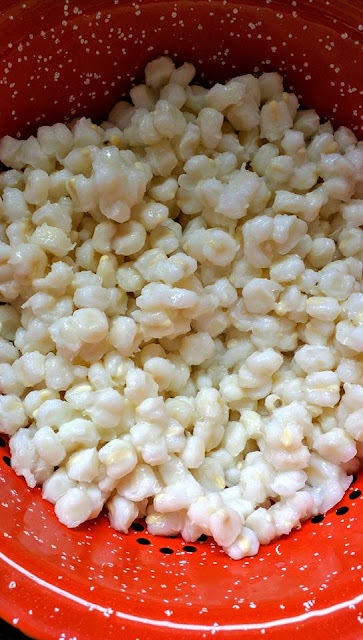 Can't you just picture a bunch of little kids sitting there waiting for that hominy to get done, hardly able to contain themselves? Now that's a sweet picture! My mamaw's description of frying hominy, got me craving some so bad that I just had to go and make it myself! I used canned hominy. 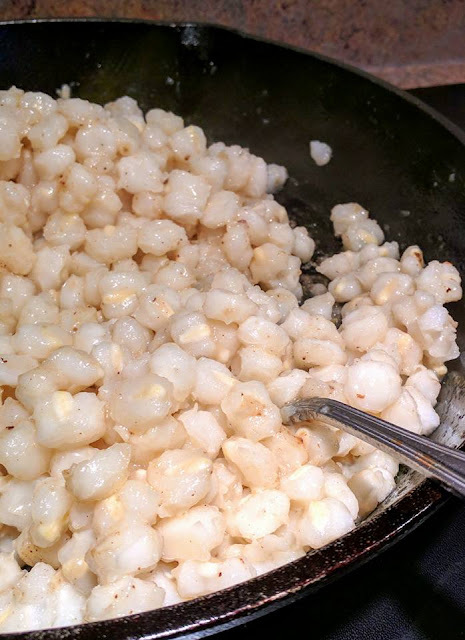 I know that's not very authentic, but making hominy from scratch would be biting off more than this girl can chew, so you'll have to pardon the error of my ways! 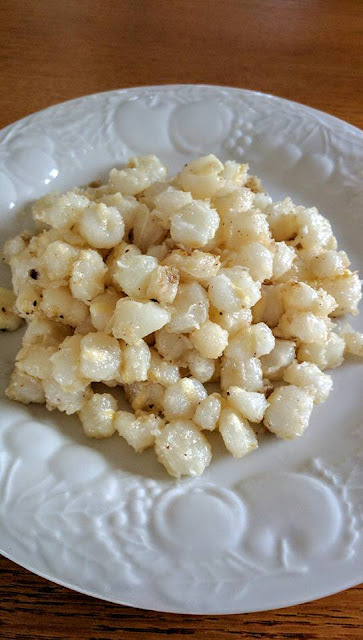 My mamaw would often fry her hominy in lard...but I don't keep lard on hand. 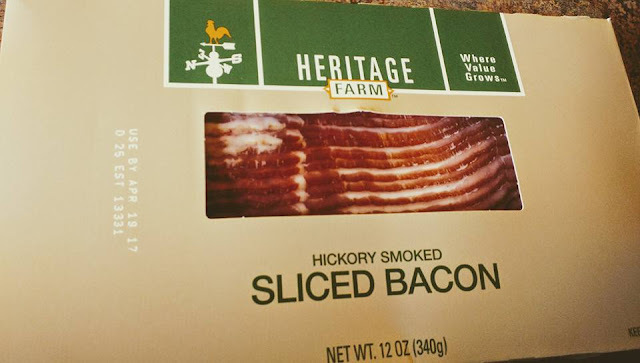 At this point you may be shaking your head at my lack of conformity to Mamaw's original dish...but maybe I will get you back on board with the word bacon! You can't go wrong with bacon! 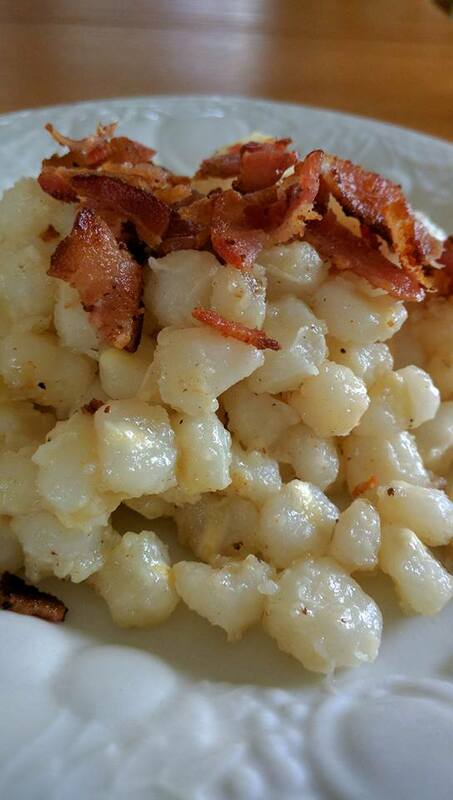 So I fried my canned hominy in bacon grease...trust me, Mamaw would approve! Then I removed the strips of bacon but left the resulting bacon grease in the skillet. 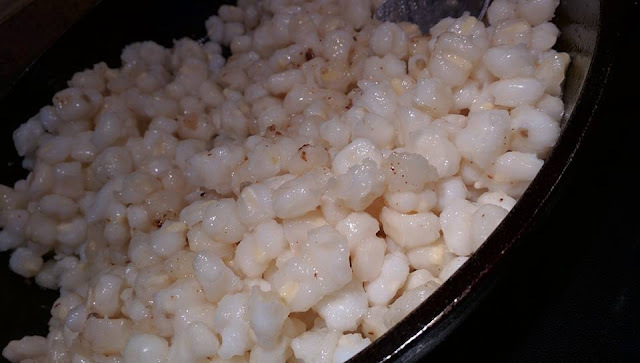 I added three well-drained cans of hominy to the hot skillet, salted to taste (be careful not to oversalt as most canned hominy already contains salt), and cooked uncovered over medium heat, stirring occasionally for about 10 minutes. 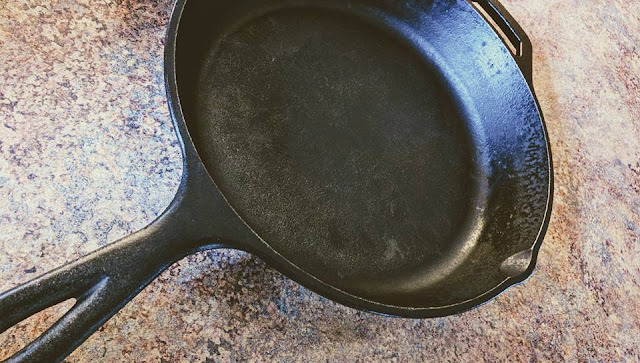 And just a note of caution...that hominy may pop, sizzle, and spatter when you add it to the hot bacon grease, so make sure your skillet isn't overly hot and your hominy is very well drained! 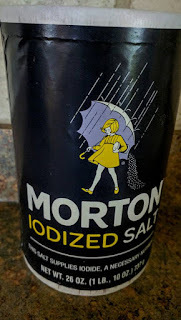 Turn down the heat and have a lid handy if spattering gets out of hand. When the hominy has started to get flecks of golden brown scattered throughout, serve piping hot as a side dish. 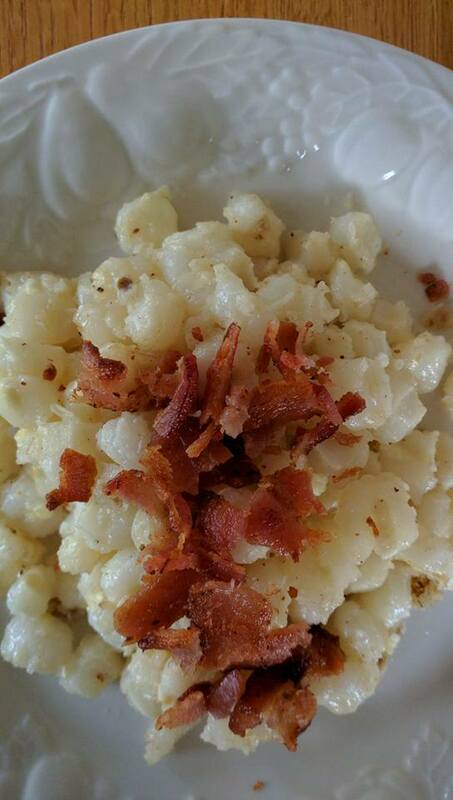 And if you really want to treat yourself, crumble some of those bacon strips over your hominy as well! Oh my! Delicious! 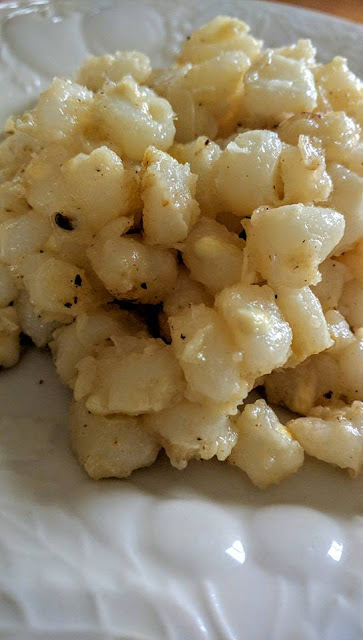 The hominy is dense, and somewhat potato-like in texture...and the taste is mildly reminiscent of cornbread kissed with bacon. I mean...run to the kitchen and try it! 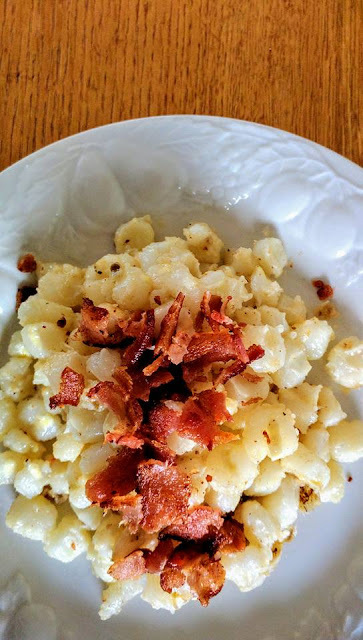 This recipe is easy-peasy, but the full instructions are below. If you need a printable version, click here. Hope you enjoy this fried hominy dish, and hope you've enjoyed my mamaw's old timey tales about lye. Blessings, and see you back here again soon! 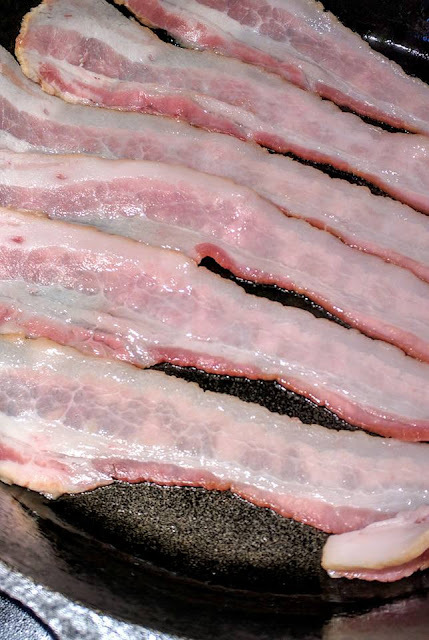 Fry strips of bacon in a cast iron skillet over medium to medium-low heat until crisp, turning often to prevent burning. 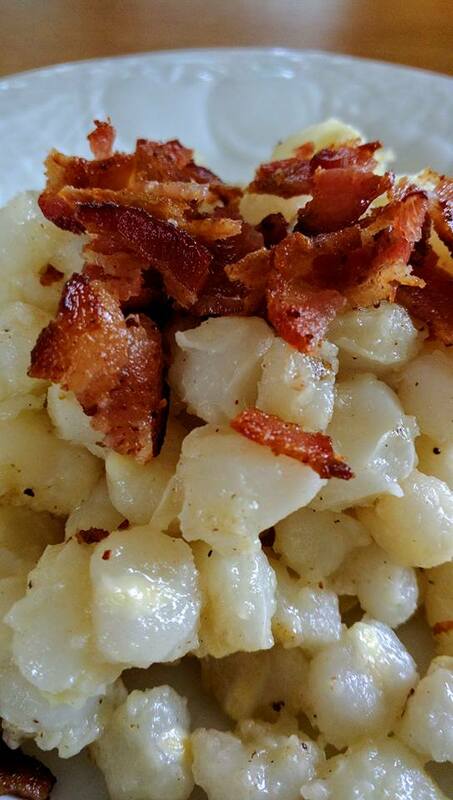 Remove bacon and set aside. Carefully add hominy to remaining bacon grease in the hot skillet. Use caution as grease can splatter. 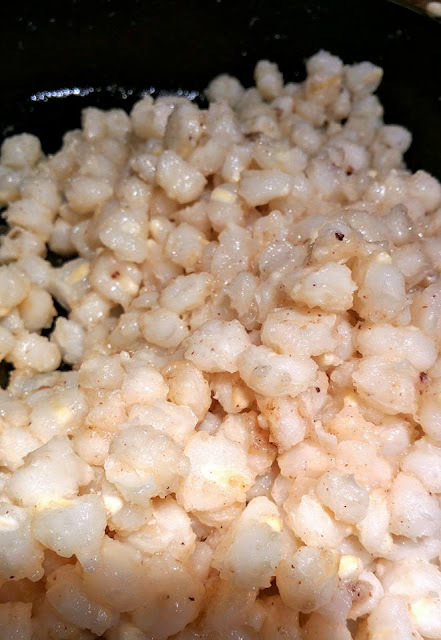 Cook uncovered over medium to medium-low heat, adding salt to taste, for about 10 minutes or until light golden brown flecks begin to form. Serve hot and, if desired, topped with the crumbled bacon bits. Welcome to Appalroot Farm! I'm Lorene: a wife, mom, and second generation Appalachian migrant with a degree in history and education. 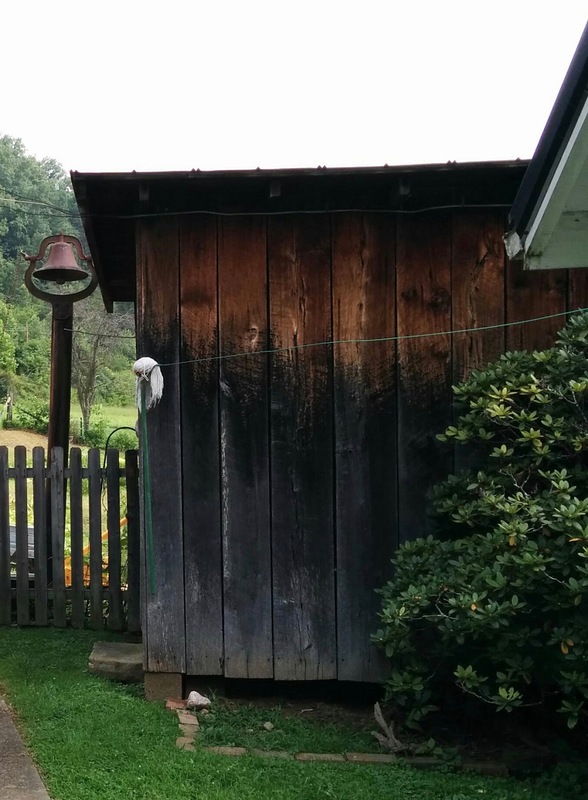 If you have roots in Appalachia, but now live outside the region, this blog is a place where you can truly go "back home" with pride! Come join me as I share tips, fun ideas, and inspiration for embracing and passing down our beautiful mountain culture. ©2017, appalrootfarm.com, All Rights Reserved. . Picture Window theme. Powered by Blogger.